Ghost here blah blah spoilers and such let's talk about Pokemon. On November 18, 2016, Pokemon Sun and Moon were released to end the year-long celebration of Pokemon's 20th Anniversary. It had a whole lot to live up to and with the promises of exciting gameplay, traveling around a region based on Hawaii, and experiencing a different kind of adventure from the usual setup that every main entry game for the last 20 years has followed. I'll be honest with you all. I kind of didn't want to do this one because my feelings about these two games have fluctuated nonstop since I got them. I knew this would be a tough write and I kept putting it off. However, one must eventually pay the piper and since I've reviewed every main Pokemon game that's been released since I started doing reviews, I guess I'll just need to buckle down and do this one as well. You and your mother have just moved to Melemele Island in the Alola Region. You meet with the local Professor Kukui who takes you to meet the island's leader, Kahuna Hala. While looking for the Kahuna, you find a young girl named Lillie and a very strange looking pokemon, Cosmog, which she has named Nebbie. Nebbie is being attacked by a group of spearow and doesn't seem to be able to defend itself. As you go to rescue Nebby, the bridge that you are standing on collapses and you plunge towards the river below. However, the pair of you are saved by the island's guardian, a pokemon called Tapu Koko, who provides you with a strange rock. This rock, when modified by Kahuna Hala, allows you to use Z-moves. Z-moves are a sort of dance maneuver you perform to bring out the hidden potential in your pokemon. You receive your starting pokemon and embark upon the Island Challenge along side Lillie, Nebbie, and Hala's grandson Hau. In the Alola Region, young trainers go around to the four islands and complete tasks and battle-driven challenges against seven trial captains and the four Kahunas in order to become closer to your pokemon. You continue to travel through the islands of Melemele, Akala, and Ula'ula as you take on the trial captains and kahunas one by one. 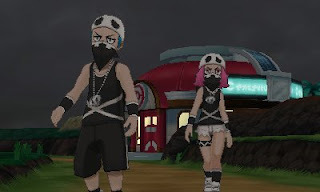 Sooner than you think, you will encounter the villain team of this game in the form of Team Skull lead by a man named Guzma. These street thugs try to steal pokemon or just generally be a nuisance and act like hooligans. They are working with a young man named Gladion who owns a very strange pokemon named Type Null. There seems to be more to this Gladion guy than meets the eye. Eventually you assist Branch Chief Faba of the Aether Foundation against a member of Team Skull trying to steal slowpoke. Faba invites you to the Aether Foundation where they have set up a preserve for abandoned and abused pokemon. Their leader, Lusamine wishes for the pokemon there to feel love and be safe. 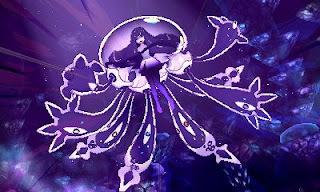 While you are meeting with Lusamine in Aether Paradise, a strange jellyfish-looking creature appears from a wormhole in space briefly before vanishing. As you continue your trials, Gladion warns you that Team Skull is after a pokemon named Cosmog When the pokemon of a young girl actually gets stolen, you head to Po Town, a town entirely ruled by Team Skull, to get it back. This turns out to be a plot to get you away from Lillie and Nebbie as the pair are kidnapped and taken to Aether Paradise. You, Gladion, and Hau storm Aether Paradise where you discover they have been experimenting on pokemon, had created Type Null from various pokemon parts. 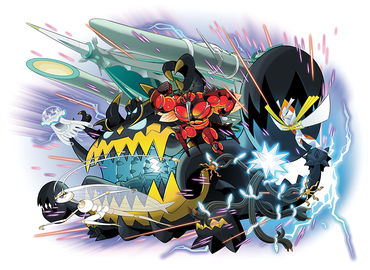 They are planning to use Nebbie's potential power to open the wormhole again for the strange creatures known as Ultra Beasts. 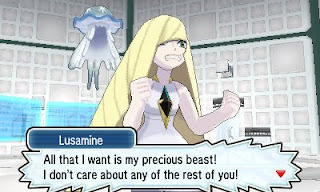 Lusamine is revealed to actually be Gladion and Lillie's mother but is so obsessed with the Ultra Beasts that she refuses to listen to her children and goes with Guzma into another universe with the jellyfish Ultra Beast. Nebbie is found to have survived the ordeal but has evolved into a motionless creature. You, Lillie, Nebbie, and Hau embark to Poni Island to track down the ancient legend about the pokemon of the Sun/Moon who was said to be able to travel across universes. You complete your final trial and Kahuna battle and eventually make it to an ancient altar. As you and Lillie play a tune on the sacred flutes, Nebbie evolves into Solgaleo/Lunala and takes the pair of you to the alternate universe. While there you meet up with Guzma and the three of you discover Lusamine now being taken over by the jellyfish Ultra Beast. You defeat the possessed Lusamine but the poison of the ultra beast is still in her body causing her to be extremely weak. Solgaleo/Lunala return everyone to their normal universe. It is at this point, you take on the newly created Elite Four and become the first champion of the Alola region. 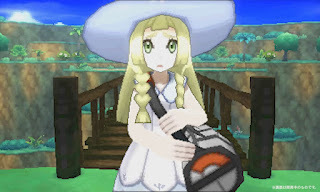 Lillie takes her mom to see Bill in Kanto hoping his experiments could rid her mother of the poison, while you continue to defend your champion title and work with Looker of the international police to neutralize the Ultra Beasts that entered the world because of Lusamine's meddling. As usual, it's time to take a semi-comedic look at this game's offering for new pokemon. Pokemon Sun and Moon actually gave us several new creatures as there are 83 new pokemon, 7 ultra beasts, and 18 new regional variants of older pokemon. This is a thing of beauty and grace which is based on female Japanese Pop Idols. The problem? There's an 87.5% probability of it being male. "We will make Kanto Great Again!" Looks like Toad has seen some better days. OMG This thing looks freaking amazing!!! It's too bad his ability makes him kinda crap. Seriously though, look at this magnificent specimen! I swear. I wish they would stop trying to reinvent Pikachu. We have pikachu, baby pikachu, the discount pikachu twins, squirrel pikachu, flying squirrel pikachu, and fairy pikachu already. We didn't need them (except Emolga who was awesome) and we don't need this. WHAT DID YOU DO TO PERSIAN??? Alolan Meowth looked glamorous then you have this thing which looks like it got stung by a bee and had an allergic reaction. I'd love to know who took a look at the shiny form of Alolan Graveler and thought this was a good idea. That shade of brown with yellow bits in? It's crap... LITERALLY a turd ball with corn in it. Team Skull is an absolute gem! I'm not joking about this in any way. These guys are fantastic and are easily the best villain team that we've seen to date. This is not because of their plan or their evil nature... it's actually because of how ridiculous they are. These guys are basically a dysfunctional family of street thugs. They talk big but are mostly pretty stupid. For example, several of them speak as if they are rapping to you. Others talk big then run off quickly... one in particular steps up for a battle then is like "nah I'm not an idiot. You can pass." There are a pair of grunts who stay in the Pokemon Center in Po Town and even though you are invading their territory, they will heal your pokemon for cheap. That's not to mention the one trying to warn his buddy that they are being invaded while the other is oblivious and thinking the former is noticing how good looking he is. They are absolutely hilarious and they steal the show during every section they are in. I haven't even mentioned their sort of mother figure with Plumeria or their leader Guzma who is the first threatening (and not weird) bug-type user we've ever had. Seriously, these guys are the best. As a side note: Lillie and Hau are awesome... as is Professor Kukui. I don't really want to make this any longer than I already have, but I just have to say that Hau is brilliantly optimistic, Lillie goes through a transformation of her own that makes you love her to death, and Kukui is just insane and awesome. They are legitimately good characters! The ghost-type trial is actually pretty great. As a lover of ghost-type pokemon, I loved this trial. Basically you are inside of an abandoned store with the music skipping and being creepy. As you walk through the store, various things start moving, rattling or shaking on their own and you have to track down the ghosts causing these things to happen. This whole time you see brief glimpses of a pikachu running ahead of you. Eventually you end up in a back room that doesn't exist with tons of pikachu photos all over the wall. When you turn around, there is the trial's totem pokemon standing there ready to fight you. Now this is Nintendo scary we're talking about here and not anything like Silent Hill or Resident Evil but it's a step in the right direction to something unnerving. I legitimately enjoyed this one. 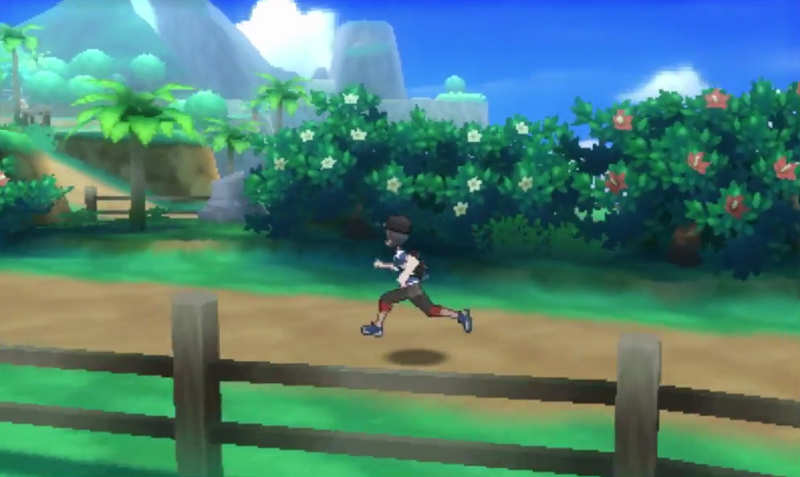 On the surface, the trials appear different than the old gym battles with you having to partake in trials about food, dance, picture taking, and testing out electronic equipment. However you get into your first trial and things seem familiar. In previous titles, your first gym battle consisted of fighting a couple trainers then taking on the more powerful gym leader. In your first trial you... fight against 3 wild pokemon then fight against the more powerful totem pokemon of the area. While it is different it's still kind of similar. However it gets worse in a way when you start to looking at each trial in relation to each other. The first trial is fighting 3 pokemon and a totem in a cave. The second trial is you swimming and fishing across ponds where you fight 3 pokemon and a totem. 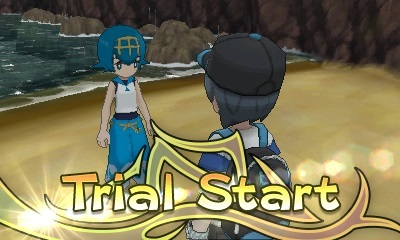 The third trial is watching a dance where you fight a wild pokemon, a trainer, and a totem. The fourth trial is you finding items in a forest where... you fight 3 pokemon and a totem. Trial six is also 3 pokemon and a totem while trials five and seven break the mold entirely by being.... fight TWO pokemon and a totem It's basically changing the window dressing on the same old thing over and over. Once you notice it, you can't unsee it. One of the main things you do in a pokemon game is capture pokemon. This should be something that you don't mess with, but this game makes the cardinal sin of screwing it up! Catching pokemon is an absolute chore in this game. To start off with I noticed that pokemon have a much lower capture rate in this game than in previous titles. I don't have any concrete data to back up that claim but I've had more pokemon break out of pokeballs in these games alone than I have in the previous 20 years of playing the games. Not only that but they have included something called S.O.S. battles. S.O.S. 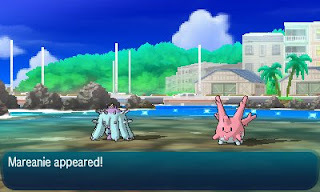 battles were included as part of the totem pokemon battles to make the fight more difficult as they can call for help. HOWEVER once you have completed the first trial, EVERY pokemon has the chance of calling for help. That wouldn't be a big deal except they haven't updated the catching mechanic. You can only capture a pokemon if it's the only one on the field. Not only that but the lower health that a pokemon has, the higher chance it has to call for help. I have spent 20 solid minutes trying to capture a single pokemon because it called for help EVERY turn and 9 times out of 10 the help would appear. The one time help wouldn't appear, the pokemon would break out of the ball despite being at 1 HP and paralyzed. To add more insult to injury there are some pokemon which ONLY appear during S.O.S. battles and at that only appear 5% of the time during these random chances. This means that not only must you keep the original pokemon alive for multiple turns but it could take 40 minutes or longer in a single battle just to get a chance at maybe finding the one you want. When it takes me 5 minutes to capture a level 3 pokemon after I've beaten the Elite 4 there's a BIG issue. There's a long standing tradition with pokemon since Gold and Silver, and that is the inclusion of a National Dex. It's always been a tedious but fun part of the game to try to fill up the National Dex so that you have every single pokemon ever released. It's fun to read through the new pokedex entries for old creatures and compare them etc. It's a key part of the game which most people enjoy. When it comes to Pokemon Sun and Moon, we noticed that there was an Alolan Pokedex but no National Dex. Around this same time, we were informed that the Pokemon Bank would be updated to allow use with Sun and Moon. 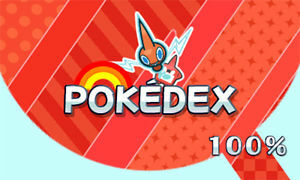 We waited patiently for this update to happen in January 2017 as we were sure the necessary update would add the National Dex. It didn't. The Pokemon Bank was effectively the National Dex though there is NO actual dex part by going that route. Honestly it made me feel as though catching one of every single pokemon and variant in the months leading up to this game's release was a gigantic waste of time. 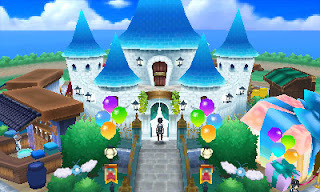 A new feature of this game was the Festival Plaza. It's a way to gain extra "currency" without having to deal with the grueling Battle Tree or any of that nonsense. It's a way to have fun, get items, play some repetitive games, deal with online interactions and personalize your own area. It's a pretty fun and cool feature to have added. If I'm saying all these positive things about the feature then why is it in the bad section? Well that's quite simply because almost NOTHING is explained about it. It feels like it was an idea that was really rushed out and took too long to implement so they figured "eh we'll just let them figure it out as they go." The game doesn't inform you that the online interactions like trading and battling are only accessed through the Festival Plaza forcing me to spend half an hour looking for it to only be told by an online post where it even was. The game does tell you how to talk to people and how to place new stores in your plaza as there was a blank spot left. I assumed you got more spots with your ranks up... NOPE you just replace the old ones and the game doesn't tell you. The game also doesn't tell you that the construction man who is there to help with buildings DOES NOT hold a record of what you used to have to rebuild if you want it. What you have is what you have unless you rank up and get offered another store at random. 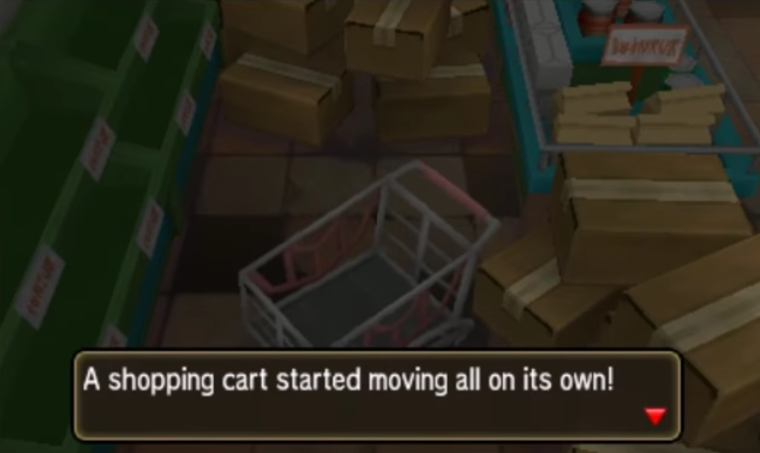 Since I didn't know this, I replaced something I still kind of wanted with something I didn't know what it was (because the game doesn't explain what the new shops are either) so when I went to get back my old one, the construction man is only able to swap the actual location of one of the shops you have with another....so he's useless. Thank God for Serebii and their dedication to unmucking this mess. It's fun but I wish there was a better tutorial somewhere in-game. As I said at the beginning, my opinion about these games has constantly fluctuated since their release. When I first picked it up I was having a blast and couldn't wait to start my adventure. When the S.O.S. battles started I began to really dislike the game a lot. Then I got to the meat of the story and was having fun again. Then I started seeing some of the other problems with it and I got disappointed. Then I got to the Elite 4 and the champion battle where I learned that subsequent trips to the Elite 4 have you being challenged as the champion. It was amazing and I was having fun once more! Then I got to the Battle Tree and I honestly couldn't care less. I honestly don't know how to feel about it. It's simultaneously fun and infuriating. It's a change from the norm but still kind of the same. I really loved Team Skull, but I also really hated how the messed around with the mechanics of catching pokemon. It's something that I'm very glad I played but also didn't really bother to even finish the Elite 4 on my copy of Moon which I played second. If you're a pokemon fan you'll love it and chances are you've already bought it. If you haven't yet, then I still recommend getting one of the versions just to keep going with the adventure but I also pass on a warning that this is probably the most frustrating pokemon game I've played outside of a couple fan games that were intentionally made to make your life difficult. I just... I don't know so I'll just leave it there.